It's subtle, low-maintenance, and works on everyone. The term "negative space," meaning the area around and between a subject or object that highlights it, has been used in the beauty industry for years. Not too long ago, negative-space nail art was everywhere, and in the makeup world, stars like Kendall Jenner and Lily Collins have experimented with next-level liner. Instagram even found a way to work negative space into its wacky brow trends last year. Next up: utilizing negative space in your hair color. 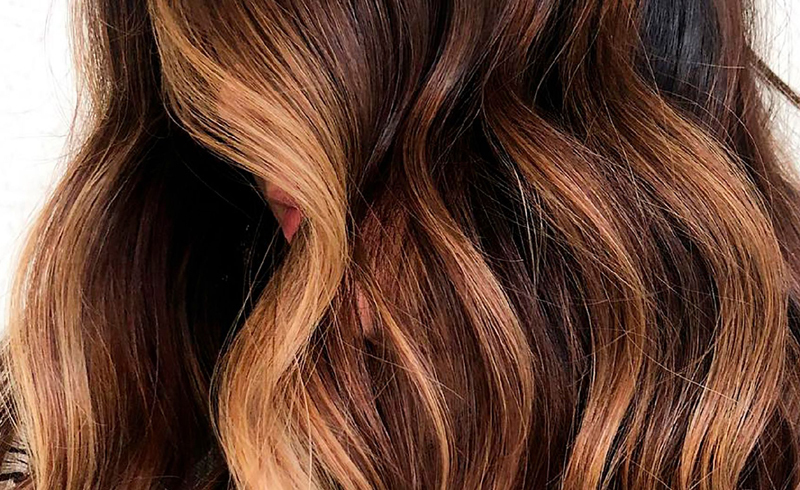 As our esteemed beauty colleagues over at Popsugar recently reported, it looks as though negative space is set to be one of the biggest hair-color trends of 2019. To find out more, we tapped a few colorists to decode the incoming craze. 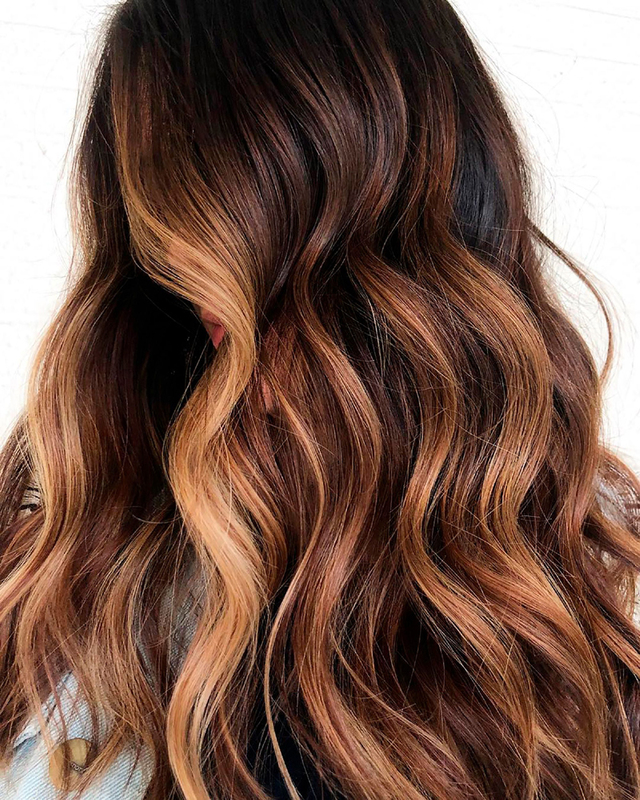 "Negative-space hair is focusing on your base color to create dimension with fewer highlights that are more deliberate," explains colorist and Truhair founder Chelsea Scott. "It's about adding highlights around the face or some balayage throughout to really make your base color shine." The best part: Anyone can work it, so long as a laidback vibe with a little need for upkeep is what you're after. "The negative-space look works for someone who likes to see lightness around their face but doesn’t want to be in the hair salon every two months," says Nikki Ferrara, senior colorist at White Rose Collective salon in New York City. "For a look like this, you only need to come back every four to six months." Ferrara says she especially loves it on those with ash, platinum, and wheat-toned blondes with naturally light bases, as well as rich brunettes who favor caramel and lighter, golden brown highlights. That said, redheads can certainly get away with it, too, though they should exercise a little caution, as Ferrara says the tone can sometimes turn out too orange or yellowish. Stephanie Brown, a master colorist at Eddie Arthur Salon in New York City, says negative-space hair works best when it's more subtle, as you don't want the light and dark shades to be too contrasting. She's also a fan of this look on every hair color, though she does say it's especially gorgeous on blondes who desire a very beachy, sandy-golden feel. To get the negative-space hair look, all three colorists advise starting off slow with a few lighter pieces in the front, as you can always incorporate more as you go but it's much harder take it back if you've added too much. On the flip side, if you already have light hair, you'll want to introduce the deeper shades around the face and throughout, which makes your base color beautifully stand out. If this seems like a trend you can totally get behind in 2019, then go see a colorist you trust for a consult and make it happen. Need inspo? We've got you covered below.